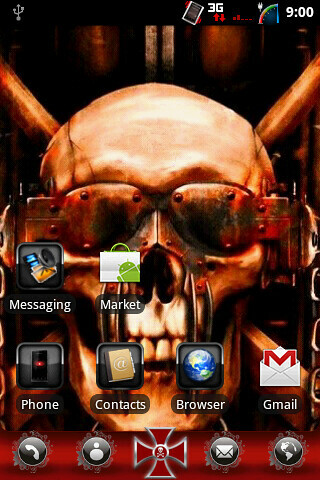 4/12/2011 - Rebuilt and fully working with any Theme Chooser version on any device. No more missing assets errors . 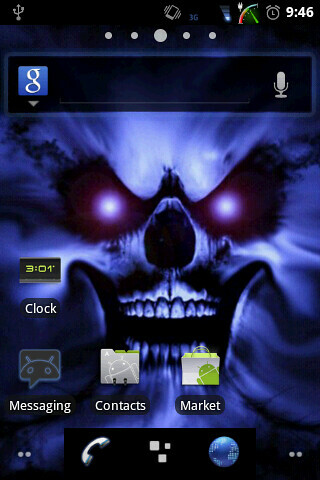 The charge animation has also been corrected It does display battery percentage in 1% increments. NOTE: When using this theme you need to disable display battery percentages in CM settings for the battery icon to work properly. 2. Navigate to the file on your SD Card through Astro or your file manager of choice. 3. Select apk and choose Open App Manager. 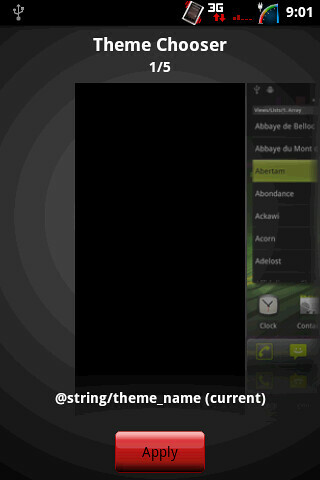 6 Select the theme which will show as a black screen for now and say @string/theme_name. 7. 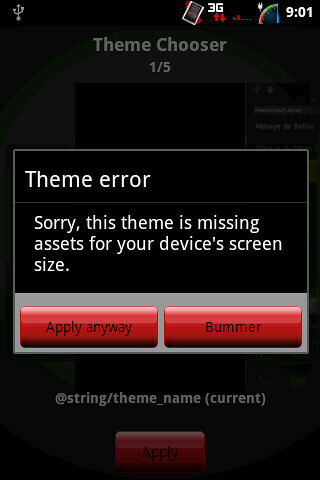 You will see a screen pop up that says Theme Error... Hit apply anyway. 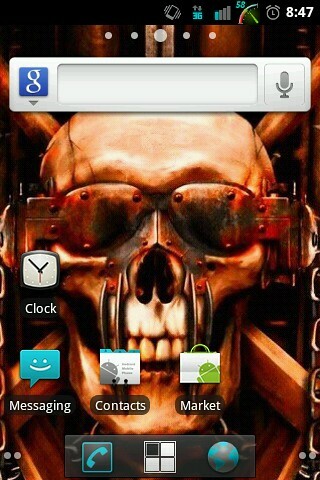 This has been tested on Blackened Ginger Tazz and should work with any CM 7 ROM. Any feedback as to which roms it's been used on would be helpful.